I was bored last Friday night. I turned to surfing the Internet, and my browsing came across Kollabora on Twitter. They had a teaser up about a Friday Challenge. It was Friday. I needed a challenge, so I hopped over to their blog entry. The challenge? Black and white stripes! I love the classic look of black and white stripes. I puttered around on Ravelry, looking for a good pattern. Nothing stood out to me. So, off to my books. I pulled out my trusty copy of One Skein Designer Wonders, and found the Simple Mistake Rib Vest Pattern. The pattern calls for DK or light worsted yarn, but I’m using plain ol’ worsted. And I’m not doing the mistake rib pattern, just plain ol’ 2×2 ribbing. 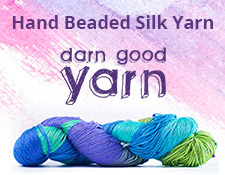 Ah, and the yarn. I wasn’t sure I even had black and white yarn, but I found a skein of each in Red Heart acrylic in my stash. Eh, good enough. 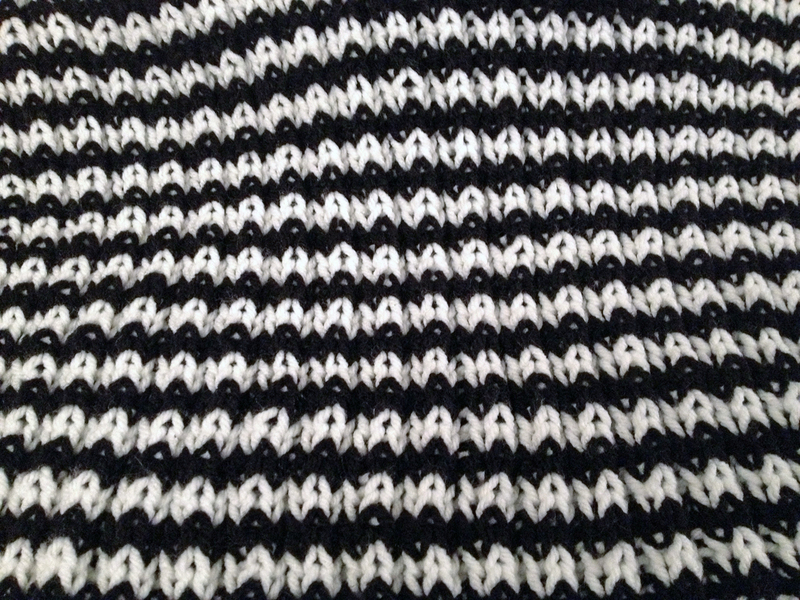 I’m also alternating white and black yarn. Strangely, I’ve never done stripes like this before. It’s fun! I hope to have this finished by the end of the week. Things have been on the nutsy end of the spectrum, so I haven’t had much time to sit down with this project. So that’s the black and white of it right now. Also, take a closer look at Kollabora. It’s a fashion-forward crafting site. Look me up.